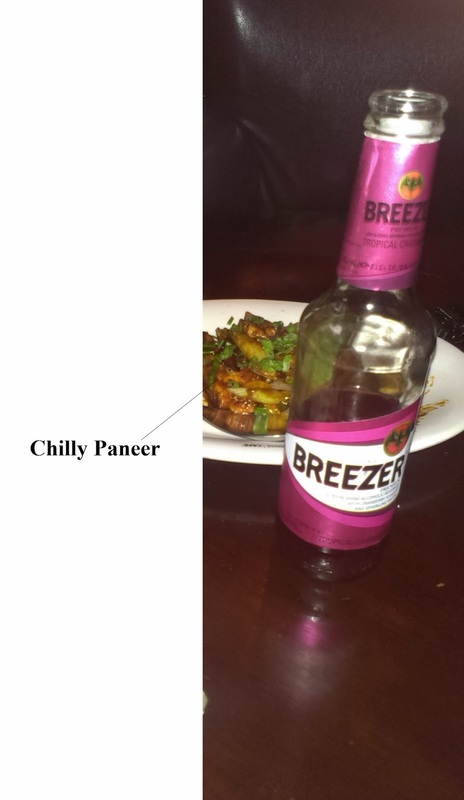 I love Chilly Panner. Whenever I go to any restaurant I first try the Chilly Paneer there. I used to have Cold Drinks and Juices with Chilly Paneer. One day me and my friends were having party at my place. As usual I ordered Chilly Paneer and Chicken Tandoori in Snacks. We had Bacardi Brezezer, Vodka and Beer in Drinks. One of my friends told me to try Bacardi Breezer Cranberry, at first I refused and said 'I am OK with my Cold Drink'. He insisted me to try and I tried the Comination of Bacardi Breezer Cranberry and Chilly Paneer and it was just awesome. Now, I have this combination of Chilly Paneer and Bacardi Cranberry only at party's. I am in love with this combination I love Bacardi Breezer Cranberry.